Scientists call for innovative solutions and a better-coordinated global approach to manage invasive pests and protect the value and potential of planted forests. (Pretoria/Vienna 21 August 2015) Forests worldwide are continually under threat from introduced insects and pathogens. This is despite the best biosecurity efforts. Without a concerted global effort to understand and control invasive pests, this problem is expected to worsen as international trade increases. “Keeping invasive pests out of forests should be a top priority for all countries,” according to Prof Mike Wingfield, IUFRO President also serving as Director of the Forestry and Agricultural Biotechnology Institute (FABI) at the University of Pretoria and the lead author of a paper entitled “Planted forest health: The need for a global strategy” that has been published in Science today. 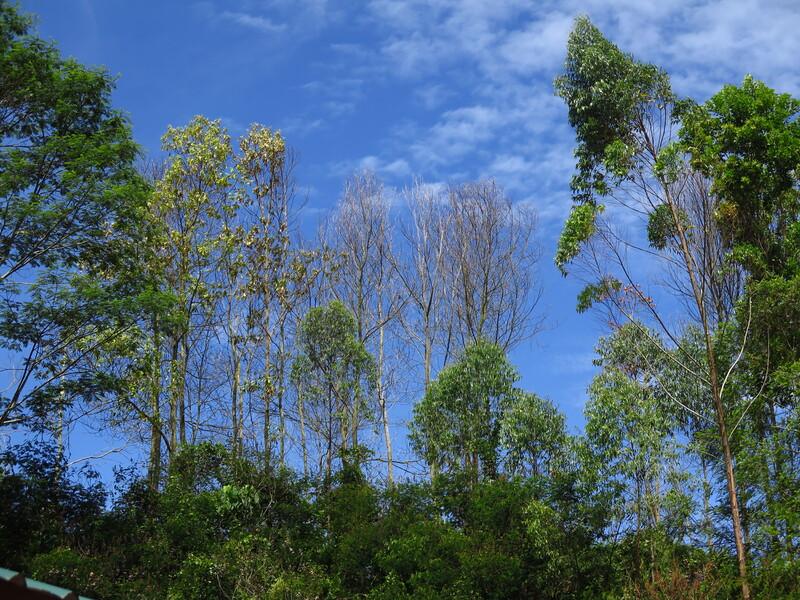 Prof Mike Wingfield and his co-authors, Profs Brenda Wingfield and Bernard Slippers from FABI, are part of the world leading Tree Protection Cooperative Programme and DST NRF Centre of Excellence in Tree Health Biotechnology that deals with these issues. For this paper they have partnered with Dr Eckehard Brockerhoff, Principal Scientist at Scion in New Zealand and Co-ordinator of IUFRO’s Forest Health Division to consider options that might improve our ability to protect world forests from invasive pests and pathogens. “Planted forests such as those of Eucalyptus and Pinus have been successful partly because the trees have been separated from their natural pests. The downside is that they are also vulnerable if these pests accidentally arrive or if trees encounter new pests for which they have no resistance,” they say. Keeping forests secure relies on an integrated approach to quarantine, treatment of imported goods, and monitoring insect traps and trees around ports and other high risk sites. But global biosecurity is only as strong as the weakest link. Many countries don’t have the resources to put biosecurity measures in place for plants and plant products. Once a pest becomes established, it can be impossible to eradicate, and the pest can use the new country as a stepping stone for further invasions. Even for countries such as New Zealand that are considered world leaders in biosecurity, it is not possible to exclude all forest pests and pathogens forever. For countries such as South Africa that share borders with many other countries with variable biosecurity measures and capacities, this task becomes virtually impossible. For example, pitch canker disease, caused by the pathogen Fusarium circinatum, is one of the worst diseases of pines. It has already invaded eight countries including South Africa, and at least some of these invasions could have been prevented through better awareness and regulation of plant movements. The only way we can realistically deal with tree pests will be through global collaboration – sharing experience and research findings. While institutions like the International Union of Forest Research Organizations (IUFRO) help to facilitate collaboration, there is no single body or funding structure to support a global strategy for dealing with pests in planted forests. The paper is timely because the World Forestry Congress of the Food and Agriculture Organization of the United Nations will focus on forest health and sustainability when it meets in September in Durban, South Africa. This is one of the most important international gatherings of forestry researchers and, tree health and resilience will be amongst the key topics discussed there. Forests are natural resources of global significance. They regulate climate, store carbon, prevent erosion and improve water and air quality and at least one in six people relies on forests for food and their livelihoods. In South Africa, the planted forestry industry and downstream processing contributes around R45 billion (almost 3.5 billion USD) a year to the economy and is one of the largest export earners. A crucial component in preparing for future pest invasions is not just recognising that there is a problem but also investing in research and innovation. 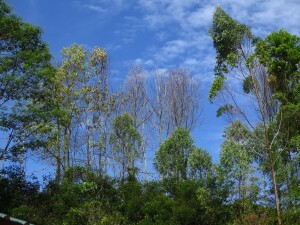 Scientists (approximately 15 000) that form IUFRO’s global network are using techniques such as introducing natural predators (or biological control), knowledge of tree genetics and an improved understanding of forest ecosystems to develop non-chemical methods to control existing pests and to prepare for future threats. “We have excellent opportunities to prevent the arrival of forest pests and diseases, to respond to incursions of potential threats, and to manage those that do become established. But single country strategies will not be sufficient because the threats to both planted and indigenous forests are increasing worldwide,” Prof Wingfield said. With increasing globalisation and international trade it is important for countries to maintain strong international networks to address the biosecurity challenge collectively. And importantly, to establish science partnerships to assist countries that may not have the resources or expertise to implement biosecurity measures. In "IUFROLAT III Session Highlights"